John Gastil is a professor in the Department of Communication Arts and Sciences at the Pennsylvania State University, where he is a senior scholar at the McCourtney Institute for Democracy. 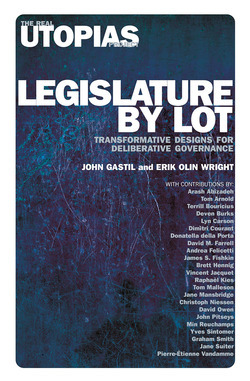 Gastil’s research focuses on the theory and practice of deliberative democracy, particularly as it relates to how people behave as voters or members of small decision-making groups. Recent books he has authored or coedited include The Jury and Democracy (2010), Democracy in Motion: Evaluating the Practice and Impact of Deliberative Civic Engagement (2012), and a second edition of Democracy in Small Groups (2014).